Information from the microbiology laboratory is essential to pharmacists assisting in the selection and dosing of antibiotics. To assist in connecting the pharmacy and microbiology professions, this interview provides important information for pharmacists from a clinical microbiologist. 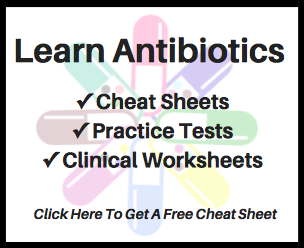 As drug experts, pharmacists are frequently consulted for antibiotic selection and dosing. Factors to consider when assisting with this include infection type, toxicities, host characteristics (e.g., immune status, presence of allergies), dosing schedules, suspected pathogen(s), known or potential presence of drug resistance, and more. In turn, microbiology data are an essential component for this decision making process. Even though inter-professional activities are being incorporated more into training and practice, the reality persists that most pharmacy students and pharmacists have very little engagement with the folks in the microbiology laboratory. In turn, we can expect that many pharmacists are not familiar with what a clinical microbiologist is or how to leverage the knowledgeable microbiology laboratory staff for clinical decision making. In the field of antimicrobial stewardship all pharmacists (not just infectious diseases pharmacists) are essential contributors to the appropriate and safe use of antimicrobial agents. Microbiology laboratory personnel are also an important contributor to antimicrobial stewardship efforts. They are particularly important for monitoring susceptibility rates, producing results from molecular rapid diagnostic testing, and providing additional testing for drug-resistant pathogens. Motivated by the clear benefit of pharmacy and microbiology lab cooperation and an existing need to connect the two professions, I reached out to Dr. Romney Humphries (a respected clinical microbiologist) and asked for an interview. I had found Dr. Humphries after reading an enlightening post she did for the American Society of Microbiology blog, entitled “Interpreting the interpretable: testing drug/bug combinations without a breakpoint.” If you have not read it, put it on your must read list. Dr. Humphries was gracious enough to accept the interview request and the following was composed. Question 1: What prompted you to pursue a career as a clinical microbiologist and what steps did you take to get to where you are today? I’ve always been fascinated by infectious diseases, and knew I wanted a career in the medical field. When I was an undergraduate student in Lethbridge (Canada), I did a research semester with Health Canada, in a laboratory that studied shiga-toxin producing E. coli and Salmonella in surface waters of Southern Alberta. We did some pretty crazy things to identify the bacteria – including a “swim test” for Salmonella, whereby we inoculated the bacteria to a semi-solid media and measured how far they could swim across the surface… (Salmonella are the Michael Phelps of the bacterial world, for those of you who didn’t know). It was too much fun. From then on, I have always found the bugs to be the more fascinating part of the infectious diseases story. From there, I did a PhD in bacterial pathogenesis, and then a postdoctoral fellowship at UCLA in Clinical and Public Health microbiology. This latter training, and passing of the American Board of Medical Microbiology exam is what qualifies me to work as a clinical microbiologist. My love of all things antimicrobial resistance came later from some amazing mentorship I got from Janet Hindler, who introduced me to the Clinical and Laboratory Standards Institute, an organization that sets breakpoints and susceptibility testing standards, and for whom I now serve as a member. Question 2: Clinical microbiologists are sometimes referred to as the “invisible army.” What does this mean to you and do you consider yourself a soldier in this invisible army? I have to confess, I don’t love this term. To me, an effective clinical microbiologist is one who is at the table contributing to stewardship and infection prevention meetings and who is an active part of the clinical service. However, I can see how our technologists (the people who do the real work in the lab!) might feel as though they are an invisible entity. Few clinicians visit the microbiology lab (to be fair, you usually have to go to the hospital basement to find us), and so the way that most communication comes out of the laboratory is via the electronic medical record. This, is tragic, since I am sure you are all aware of how cryptic some of that reporting can be. I would encourage readers to visit their lab, if they’ve not done so already. It’s a super way to learn more about microbiology, and also to teach the laboratorians about the clinical issues you face. You’ll also find that once the technologists put a face to the voice they hear over the phone it really makes them more willing to go the extra mile to help you out! Microbiology laboratorians are incredibly knowledgeable about their field, and can provide a lot of insight into what is going on with a given patient’s cultures. Not to mention, seeing (and smelling) the bugs in person is really cool! Question 3: Do all microbiology labs have a clinical microbiologist? While the majority of microbiology laboratories that serve major academic medical centers do, it is by no means a standard position in the laboratory. In smaller settings, the laboratory as a whole (including clinical chemistry, hematology, cytology, etc.) may be directed by a single pathologist, who is generally more specialized in anatomical pathology. In these cases, the technical aspects of running the microbiology laboratory are delegated to a supervisor. In many of these settings, there is also a real shortage of microbiology technologists, due to the lack of available technologists to hire. In these cases, the staff are doing all they can to get the cultures read and the results reported. They just don’t have time to dedicate to other tasks, like updating breakpoints or implementing new technologies, which are so critical to stewardship activities. As you can imagine, this labor shortage is one of the biggest dilemmas faced by many microbiology laboratories today. The number of technologist training programs decreased significantly in the 1990s, and we see many technologists retiring now, with no experienced technologists available to replace them. While the American Society for Microbiology and other organizations are working hard to make up for this gap, by training more technologists, we still will have a real lack of mid-career microbiologists. To give an example, the average experience of the bacteriology technologists at UCLA was 35 years when I started in 2009, to 2 years in 2014. You can imagine the impact that shift had! Training microbiologists is not easy – the technologists have to learn what organisms are likely pathogens, based on specimen type, what to identify and what to leave as normal flora, how to troubleshoot identification for organisms that misbehave, etc. A lot of this comes from years of experience, and cannot be taught. Question 4: What BASIC information can clinical microbiologists help provide that pharmacists may find useful when picking or selecting an antibiotic? Clinical microbiologists, above all else, are experts in their science. As such, we can provide a lot of insight into the test performance, and any quirks or limitations. We also know an awful lot about the bugs – including what “normal” susceptibility might look like for that Weirdobacterium we just reported to you off the MALDI-TOF. We are also really up to date with susceptibility testing information – something I think especially pertinent to this audience. I field many calls from our physicians regarding how well they can “trust” our data. For example – is heteroresistance to oxacillin something we need to worry about for S. epidermidis? (The answer is, with current testing, “no”). Question 5: What ADVANCED information can clinical microbiologists help provide that pharmacists may find useful when selecting or dosing an antibiotic? Microbiology laboratories hold a tremendous amount of data. We can provide insight into things beyond what is published in the antibiogram, to help inform institution-specific treatment pathways. For example – what’s the antibiogram for your institution’s carbapenemase producers? Extended-spectrum beta-lactamase producers? Among Pseudomonas aeruginosa in the medical intensive care unit? What other drugs might we think about testing for that really resistant organism? Have we ever seen a ceftazidime-avibactam resistant isolate? We are also often one of the first groups that notice emerging resistance threats – for example, we might notice an increase in daptomycin non-susceptible Enterococcus across all the cultures in an institution as a whole, that isn’t appreciated by individual services. Question 6: Are there things pharmacists can expect to see in the coming years from microbiology labs that will impact the way we select and dose antibiotics? It’s an exciting time for microbiology laboratories. New technologies are finally replacing many of the methods that we’ve used for 50+ years. A great example of this is MALDI-TOF, which has replaced all the biochemical tubes we used to use for identification of bacteria. This means we get an answer in hours, as opposed to days, for the identity of a bacterium. Not to mention, in many cases it’s a much more accurate identification. Laboratories are starting to acquire total laboratory automation, through the implementation of things like smart incubators, that take pictures of the cultures as they are growing, to allow the quickest identification of growth. The way we do susceptibility testing is also changing. We’ve seen a bit of this with the implementation of molecular methods to identify resistance genes directly from specimens. We are also seeing the development of much more rapid ways to get a minimum inhibitory concentration (MIC) – within hours instead of days. We may also see, in the near future, ways to look at bacterial populations as a whole, and go beyond what we can with our traditional MIC methods. Imagine knowing about the sub-populations of vancomycin-tolerant S. aureus present in a patient’s blood culture, or even better yet, directly from their blood. It’s all within the realm of possibility, with several companies working on more rapid (and maybe even more accurate!) methods for susceptibility testing. With all the great advancements I’ve mentioned above, I think one thing microbiologists and pharmacists can work together with our physician colleagues to evaluate is the impact of these technologies. As healthcare spending goes down, it is imperative we demonstrate the value of these, as they will undoubtedly be more expensive than the media and petri dishes we use today. Another big challenge, today, is the status of FDA regulatory review – which includes only allowing tests to be FDA-cleared if there is an indication for use in the drug label for the drug/bug combination. What does this mean? Well, any system developed after 2007, for example, could not test meropenem vs. Acinetobacter baumannii, or any other off-label drug. This puts new technologies at a tremendous disadvantage as compared to those developed before 2007, and stifles progress. You can read more about that here. We all have to be outspoken and make sure the critical need for susceptibility testing is understood, by both regulatory agencies, but also companies that develop these tests. I would like to express my utmost appreciation to Doctor Humphries for taking the time to complete this interview and share this important information. Romney M. Humphries, PhD, D(ABMM), M (ASCP)CM, is the Chief Scientific Officer for Accelerate Diagnostics. She completed her Doctor of Philosophy degree in Bacterial Pathogenesis studying the adherence mechanisms of Enteropathogenic Escherichia coli to the host in the laboratory of Dr. Glen Armstrong, PhD at the University of Calgary, Canada. She completed a clinical postdoctoral fellowship in Medical and Public Health Laboratory Microbiology at UCLA. She is a Diplomate of the American Board of Medical Microbiology and a licensed Clinical Microbiologist. Her research interests are in antimicrobial susceptibility testing and resistance mechanisms, Clostridium difficile disease, diagnostics and pathogenesis, and in the development of rapid molecular tests for the detection, quantification, and characterization of microorganisms in clinical specimens for the diagnosis of disease.